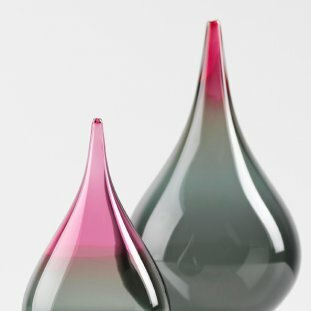 Elin Isaksson –Hand Blown Glass – Click to see a larger image. 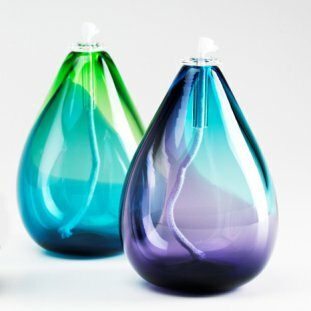 simple but very tactile hand blown glass forms in vibrant colours. Her initial training in Sweden was learning how to make unfussy forms that still influence her work today. 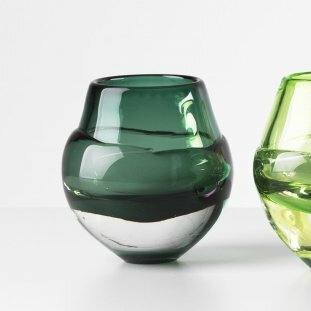 After her masters degree at ECA, Elin went on to set up her own glass blowing studio. 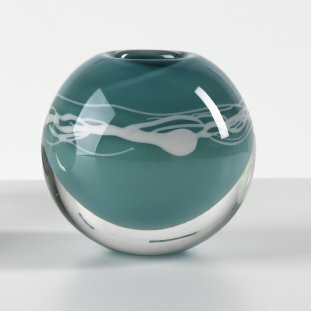 Elin mainly uses the glassblowing technique to achieve her elegant and tactile simple forms in striking colour blends. She often stretches the glass or leave the molten glass gathering line on her pieces to try and capture the energy when working with soft molten glass. In her cast glass she is intrigued by rough textures in contrast to very smooth tactile surfaces created when pouring hot glass into one off sand mouds. The solid sculptures contains layers of hand blown shards and stringers to create depth and layers to the mostly clear pieces.